Spring has sprung at Soft Shoe with jackets, tops, sandals, running shoes, sneakers and walking shoes! Check out our NEW Boutique at Soft Shoe with affordable, trendy and quality brands of apparel, tops, jackets, tops, dresses, pants & jeans. Our Spring and Summer collections are in with cute dresses, trendy blouses, tee shirts, sandals, flip flops, jewelry, accessories & more. a large selection of men's shoes, boots & outerwear including Keen, Timberland Pro, Red Wing, Reebok, Wolverine, Dr. Martens, Merrell, Ariat & Carolina. Spring into comfort and style with our men's shoes including Sperry, Born, Keen, Merrell, Oboz, Birkenstock, Chacos, Olukai, Clarks, Ecco and more. Brooks running shoes, Ghost, Glycerin, Levitate & Revel all feature innovations that are always advancing the fit, feel, ride, style and performance of your running gear. ... we are so much more than shoes! 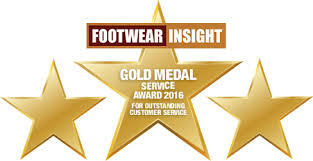 For three years in a row, Soft Shoe has won Footwear Insight’s national GOLD MEDAL SERVICE AWARD for “Outstanding Customer Service”. 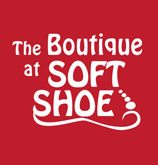 Have you visited Soft Shoe lately? If not, see our large collection of trendy, affordable, and quality apparel, accessories & brand wearables. Brands include Simply Southern, Mudpie, Southern Fried Cotton, Tru Luxe, Southern Marsh & more. 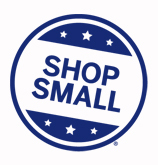 Shop Small at Soft Shoe, who has been locally owned and operated since 1983. Soft Shoe enjoys being an active member of our community through support of our customers, local nonprofits, our chamber & local businesses. Meet Albert and get your FREE Foot Scan at Soft Shoe! 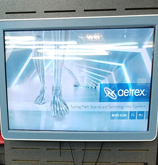 Albert is the latest 3D technology foot scanning system, by Aetrex. **FOOT HEALTH GUARANTEE** Aetrex Lynco Orthotic Insoles offers a 30 day unconditional guarantee! Return to Soft Shoe for full refund. Check out weekly Featured Products for new inventory, sales, specials and occasionally giveaways!